Holidays in a familiar atmosphere, wellness area with indoor pool, excellent culinary delights & unforgettable adventure in the Dolomites at any season. Welcome to Hotel St. Anton***S in Völs am Schlern! 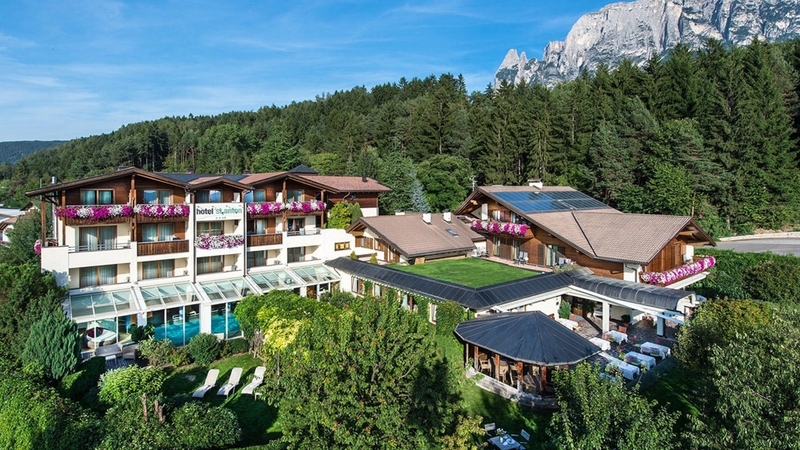 Our family-run Hotel St. Anton***S is located in the magnificent landscape of Schlern-Rosengarten nature park, in the environs of well-known Seiser Alm. The lovingly run house is situated about on kilometre from the village centre, which is accessible by a sidewalk and by a hiking trail. Our guests are offered various room types, meeting all your needs – be it cozy and small or spacious and individual. Our new wellness area with Finnish sauna, herb steam bath, bio sauna, relaxation areas, fitness room as well as indoor pool with direct access to the garden is the perfect place to relax. In summer, you will look forward to Völser Weiher, one of South Tyrol’s most beautiful and cleanest bathing lakes, situated only 5 minutes from our hotel. At Hotel St. Anton in Völs, we attribute very high importance to fresh and high-quality products. Our chef and his team daily offer you regional, Mediterranean and international specialities. The varied breakfast wills surprise you with a broad selection of sweet and savoury dishes. At dinner, you can choose your preferred delicacies from the daily changing. As well, we offer a rich salad buffet. In the immediate environs of our hotel, you can discover the dreamlike mountain world of the Dolomites, which take part of UNESCO World Natural Heritage. In summer, unforgettable hikes, fixed rope routes or mountain bike tours await you. In winter, the skiing area on Seiser Alm offers perfectly prepared slopes. Moreover, you can discover the snowy mountains on cross-country skis, with snowshoes or during a horse sleigh ride. Cosily furnished comfort double room with balcony and morning sun. The room offers a seating area with desk, wall mirror, radio, direct dial telephone, safe, TV and a bright bathroom with window, shower, toilet, bidet, hairdryer and make-up mirror. Bathrobe and pool towels for the wellness area are at your disposal for the duration of your stay. Warm colours and regional wood guarantee wellbeing. The st. konstantin rooms face the road. Bright and modernly furnished double room with 6.5 m² large sunny south-facing balcony, seating area and desk, wall mirror, sofa, direct dial telephone, safe and TV. The bathroom features bathtub or shower, toilet, bidet, hairdryer and make-up mirror. A wellness bag with bathrobe and pool towels for the wellness area is at your disposal for the duration of your stay. Warm colours and regional wood guarantee wellbeing. Some of the Charme st. peter double rooms have natural wooden floors and are ideal for guests suffering from allergies. Individual living space over 42 m²: Friendly, bright suites with a 7 m² south-facing balcony with a view of the mountains. Warm colours and regional wood guarantee wellbeing. Our suites dispose of a separate living and sleeping area with cosy seating area with table, wall mirror, sofa, direct-dial telephone, Wi-fi, safe and 2 TVs. The bathroom with windows is bright and features a bathtub or shower, toilet, bidet, hairdryer and make-up mirror. A wellness bag with bathrobe and pool towels for the wellness area is available in the room. 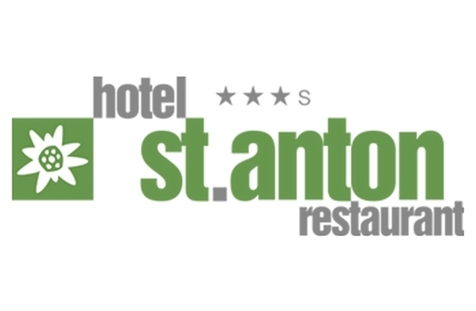 A great way to enjoy all the advantages of the st. anton hotel on a small budget! The Classic double rooms are our oldest and smallest rooms, yet very cosy and clean. The rooms feature a desk, direct-dial telephone, safe, TV and a small bathroom with shower, toilet, some with bidet, and hairdryer. Bathrobes and pool towels for the wellness area are at your disposal. The Classic st. kassian room (38 m²) with 2 bedrooms and one bathroom is ideal for families.